Florida's Crist Changes Parties; Colbert Won't Replace DeMint In Senate (Really) : The Two-Way Former Florida Republican Gov. Charlie Crist is officially a Democrat; comedian Stephen Colbert is politely but firmly rejected as a potential senator to succeed retiring Republican Jim DeMint because he forgot what South Carolina's state drink is. This should be The Decision That Surprised No One, since Crist was a featured speaker at the Democratic National Convention last September and had been a registered independent before that. "Once a popular Republican governor in Florida, Crist was on the short list for vice president in 2008 but lost that nod to Alaska Gov. Sarah Palin. In 2009, he had a falling out with Florida conservatives after embracing President Obama's stimulus program. At the time, Crist had been regarded as the front runner for the GOP Senate nomination in 2010, but he was challenged by Tea Party favorite Marco Rubio. Falling behind Rubio in the polls, Crist dropped out of the Republican primary to seek the Senate seat as an independent. Rubio won easily." Separately, and sadly, Comedy Central's Stephen Colbert won't get a warm political welcome from South Carolina Republican Gov. Nikki Haley. This week, Colbert urged fans to pester Haley to name him to replace outgoing GOP Sen. Jim DeMint, who's leaving to run the Heritage Foundation, a conservative think tank. Nation! Tell @nikkihaley why I should take over for Jim DeMint! #SenatorColbertCould our Better Tomorrow be... Tomorrow? "Stephen, thank you for your interest in South Carolina's U.S. Senate seat and for the thousands of tweets you and your fans sent me. But you forget one thing, my friend. You didn't know our state drink. Big, big mistake." South Carolina's state drink is milk. Got Milk, Stephen? 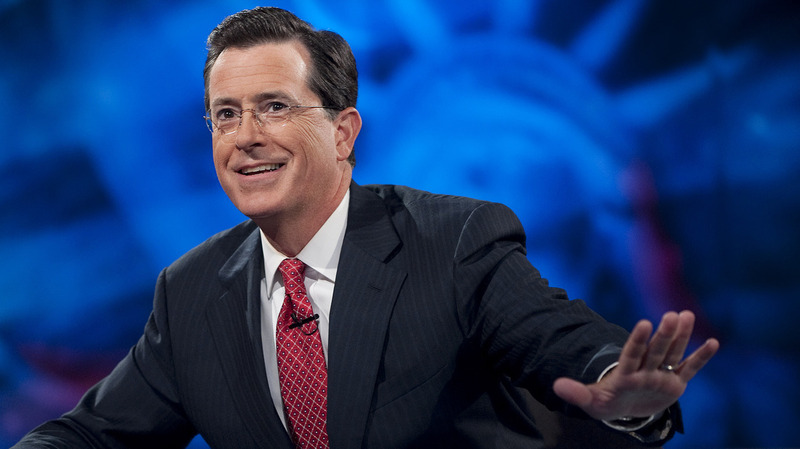 Comedian Stephen Colbert told his supporters to ask South Carolina Gov. Nikki Haley to name him to replace outgoing Sen. Jim DeMint.